"The fella was there to kill as many people as he could kill." The man who police say killed four journalists and a staffer at The Capital Gazette barricaded the exit door so employees couldn't escape, a prosecutor said Friday. Jarrod Ramos, 38, allegedly opened fire inside the newspaper office Thursday, killing five and injuring two others. He had a long, acrimonious history with the newspaper, including a lawsuit and years of harassment of its journalists. Ramos, a former information-technology worker for the federal government, is charged with five counts of first-degree murder, according to court documents. 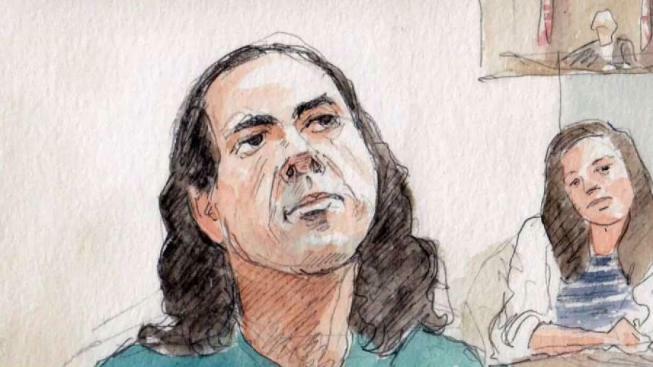 Ramos appeared in an Annapolis courtroom via video feed Friday. He appeared to watch attentively during the hearing but never spoke. Ramos was ordered held without bail after Judge Thomas J. Pryal determined that Ramos remains a flight risk and a danger to the community given the severity of his actions. It was not immediately clear whether Ramos has an attorney. Ramos has been put on suicide watch. Pryal was told about the watch during the hearing. News4's Jackie Bensen reports on the history of threats the shooting suspect made to a woman and then the newspaper in past years. Pryal also was given details about the suspect. The 5-foot-10 Ramos is single, with no children. He has lived in Maryland most of his life, including for the past 17 years in an apartment in Laurel, Maryland. Police searched his apartment late Thursday night. "We did find evidence at the residence. I can't go into a whole bunch of details about it, but I will tell you that it's evidence showing the origination of planning, things like that," Police Chief Timothy Altomare said during a news conference Friday morning. Ramos, armed with a pump-action shotgun, shot out the doors to The Capital Gazette and shot the victims as he encountered them, charging documents say. 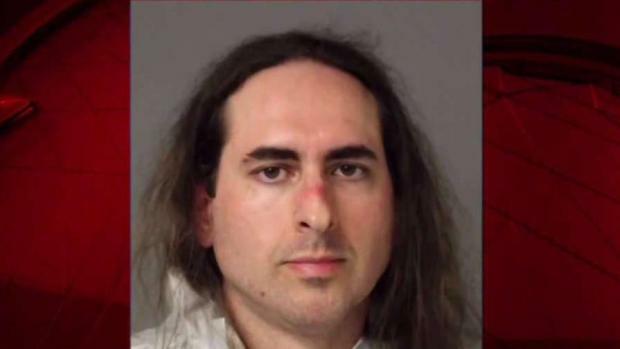 Anne Arundel County State’s Attorney Wes Adams said Ramos had an escape plan and possibly barricaded the back door of the newsroom to prevent victims from escaping. Responding officers found him under a desk, where he was attempting to hide, authorities say. "The fella was there to kill as many people as he could kill," Altomare said. "I will not say his name today. I refuse to do it." A woman was getting her teeth checked at a dentist's office when a suspect opened fire on journalists in the floor below her. She described the chaos that happened after the shooting. News4's Tracee Wilkins reports. Altomare said the weapon Ramos used in the shooting was legally purchased about a year ago. Police say Ramos hid under a desk after the shooting and willingly went into custody, but has not cooperated with investigators. "Generally active shooters are wanting to go out in a blaze of glory. I just can't get in his head. I can't do it. I wish I could today, truly," Altomare said. Ramos had a well-documented history of harassing the paper's journalists, a feud that apparently began over a column about Ramos pleading guilty to harassing a woman. In 2012, he filed a defamation lawsuit against the newspaper, alleging he was harmed by an article about his conviction. The suit was dismissed by a judge who wrote Ramos hadn't shown "anything that was published about you is, in fact, false." An appeals court later upheld the dismissal. The man who police say killed four journalists and a staffer at The Capital Gazette will get a bond hearing Friday on five murder charges. Ramos often railed against its staff members in profanity-laced tweets. Altomare said detectives spoke with legal counsel for The Capital and several members of the staff about the threats, but the newspaper did not wish to pursue criminal charges, as they feared it would exacerbate the situation. 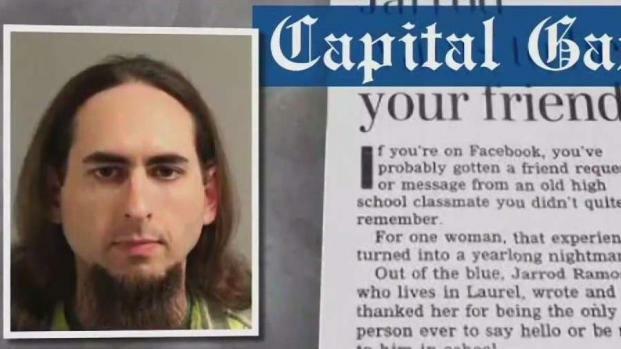 According to a police report written in 2013, a detective didn't believe Ramos was a threat to The Capital. "I'm angry that this guy was still walking around and making all these tweets." former Capital Editor Tom Marquardt told the News4 I-Team. "It was unfortunate to see such good-hearted people ultimately suffer such untimely, senseless death," shooting survivor and Capital Gazette intern Anthony Messenger told the "Today" show Friday. 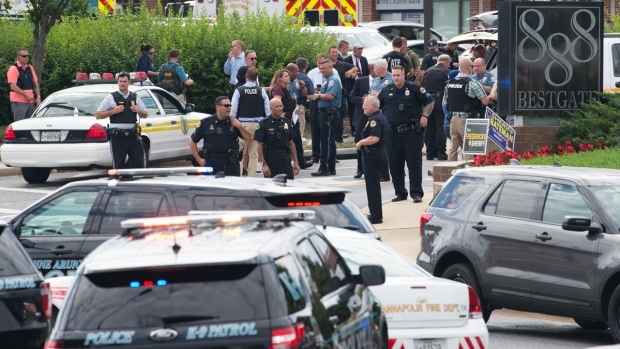 While Thursday's attack on The Capital Gazette in Annapolis came amid months of verbal and online attacks on the "fake news media" from politicians and others from President Donald Trump on down, there was no immediate indication the shooting was connected to that rhetoric. The shooting prompted New York City police to tighten security at news organizations in the nation's media capital out of an abundance of caution. Trump said Friday that the shooting "shocked the conscience of the nation and filled our hearts with grief." "Journalists, like all Americans, should be free of the fear of being violently attacked while doing their jobs," he said at the White House during an event to mark the six-month anniversary of his tax reform law. 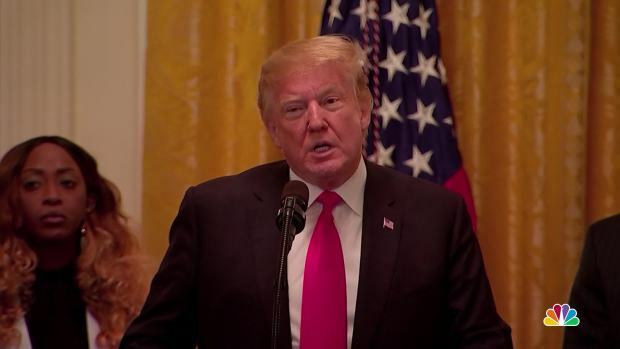 Trump said in a message to victims' families that "there are no words to express our sorrow." 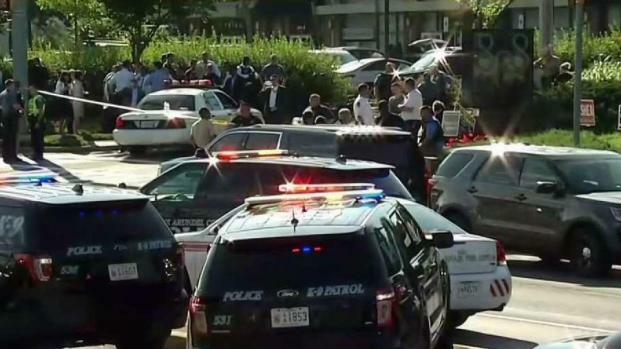 A suspect shot and killed five employees at the Capital Gazette in Annapolis, Maryland. News4's Jackie Bensen reports. Those killed at the Gazette included Rob Hiaasen, 59, the paper's assistant managing editor and brother of novelist Carl Hiaasen. Carl Hiaasen said he was "devastated and heartsick" at losing his brother, "one of the most gentle and funny people I've ever known." Also slain were Gerald Fischman, editorial page editor; features reporter Wendi Winters; reporter John McNamara, and sales assistant Rebecca Smith. Two other employees, identified by police as Rachael Pacella and Janet Cooley, had non-life threatening injuries and were later released from a hospital. Hundreds of people gathered for a candlelight march Friday night at the Maryland State House in honor of the victims. Police spokesman Lt. Ryan Frashure said officers arrived within about 60 seconds and took the gunman into custody without an exchange of gunfire. Ramos attempted to hide under a desk until police found him, according to a charging document. About 170 people were then evacuated from the building, which houses other offices. Many left with their hands up as police and other emergency vehicles arrived. Investigators remained on the cordoned-off site early Friday as they sought clues to the gunman's motives. "These are the guys that come to city council meetings, have to listen to boring politicians and sit there,'' Buckley said. "They don't make a lot of money. It's just immoral that their lives should be in danger." Appearing on MSNBC Friday, Buckley called for a look into gun control and mental health issues, saying that "this can't be the new normal." "We can't keep accepting this," he said. Buckley added that he thought there would be "some traction" after the school shooting in Parkland, Florida, and the students' March for Our Lives campaign. However, he expressed disappointment at the lack of change that has taken place since that Feb. 14 massacre. "We shouldn't be mad all the time. ... We need to take a deep breath ... We got to stop hating one another," Buckley said. The Capital Gazette newspaper is part of Capital Gazette Communications, which also publishes the Maryland Gazette and CapitalGazette.com. It is owned by The Baltimore Sun. Late Thursday night, the paper unveiled its front page, featuring the photos of their five colleagues who had been killed just hours earlier. The opinion page, which was left nearly blank intentionally, also featured a tribute to the victims. "Today, we are speechless. This page is intentionally left blank today to commemorate the victims of Thursday's shooting at our office," the page read.